Innovation Prize Winners at CeBIT 2013! We are back in the office after an amazing week at CeBIT! 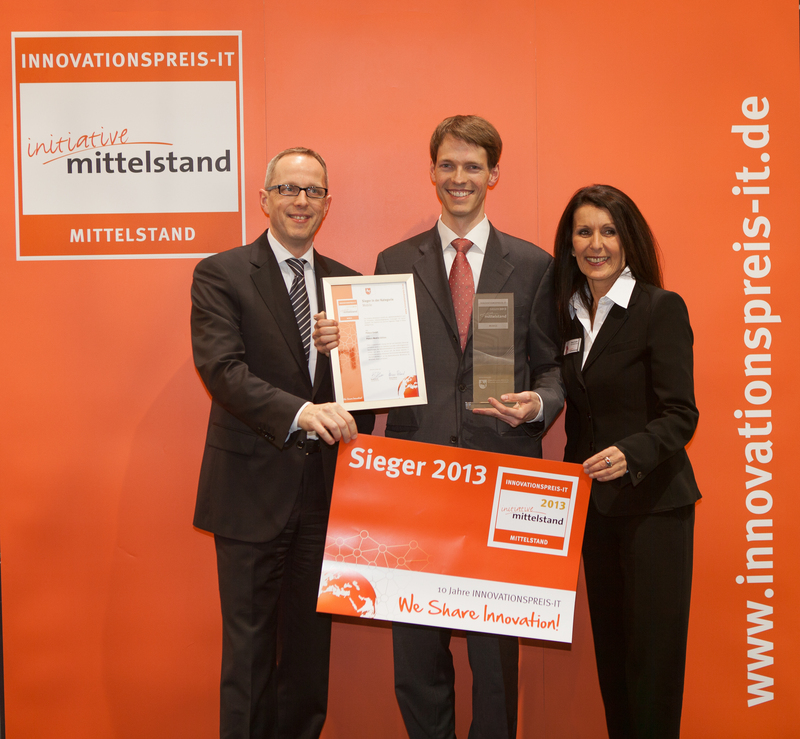 We are very excited to announce that we have won the INNOVATIONSPREIS-IT 2013 Award for best mobile product. Over 4900 companies applied this year to win the prize and we are honored to have such recognition for the Pidoco Mobile Edition. Our Mobile Edition allows users to simulate and test interactive app prototypes directly on mobile devices using the Pidoco App. Below is an interview (in German) with our CEO Philipp Huy who was at CeBIT 2013 to accept the award. 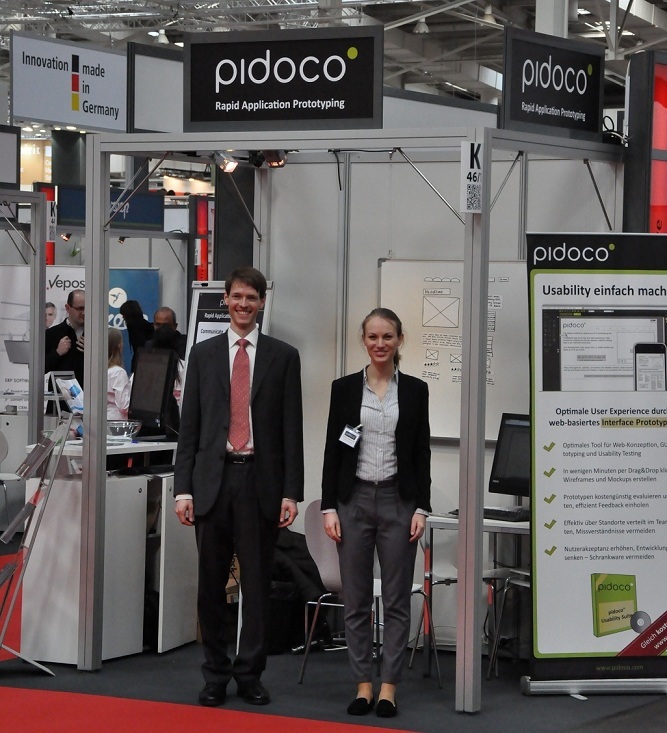 We want to thank everyone who visited our stand at CeBIT and took the time to try out Pidoco. We are really happy with the positive response we’ve had. Here is a photo of our booth, including our analog magnetic wireframe stencils. For those of you who were not able to visit us at CeBIT, we’ll keep you updated about upcoming events where Pidoco will be making an appearance! Are you working on you browser support problems? Various up to date browsers such as Firefox and the latest Safari do not work with pidoco right now. Grrrr. What about a service status on you website? So everyone using pidoco knows whats going on? Thanks for the suggestion, it’s a great idea to have a service status on our website. If you could email support@pidoco.com with any details of the issues, that would be great. Our developers are already working on improving the browser compatibility, but any more information you have would be appreciated.